True or false: . is an arithmetic sequence. BOTH STATEMENTS TOGETHER do NOT provide sufficient information to answer the question. An arithmetic sequence is one in which the difference of each term in the sequence and the one preceding is constant. The two statements together demonstrate that two such differences are equal to each other, and that two other such differences are equal to each other. No information, however, is given about any other differences, of which there are infinitely many. Therefore, the question of whether the sequence is arithmetic or not is unresolved. Give the first term of an arithmetic sequence . Statement 1: The arithmetic mean of and is 24. Statement 2: The common difference of the sequence is 10. Each term of an arithmetic sequence is the preceding term plus the same number, the common difference. Both sequences are arithmetic; the first has common difference 8, the second, common difference 9. In both sequences, the arithmetic mean of the second and third terms - half their sum - is . However, the first term differs. both of which have common difference 10. 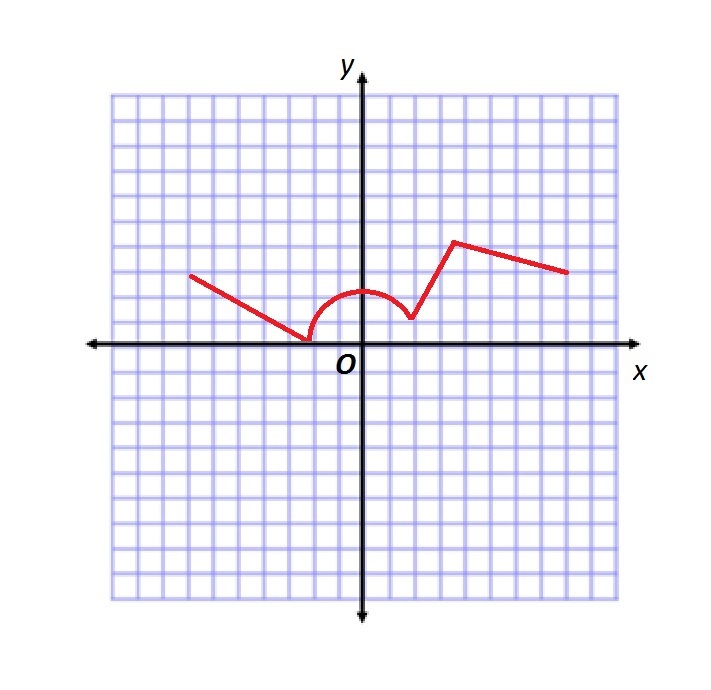 Above is the graph of a function . Statement 1: For each such that , it holds that . Statement 2: For each such that , it holds that . Assume Statement 1 alone. The portion of the graph of on the domain passes the horizontal line test, since no horizontal line passes through it twice. However, without knowing anything about the other half of the graph, the question about whether exists cannot be resolved. Assume Statement 2 alone. 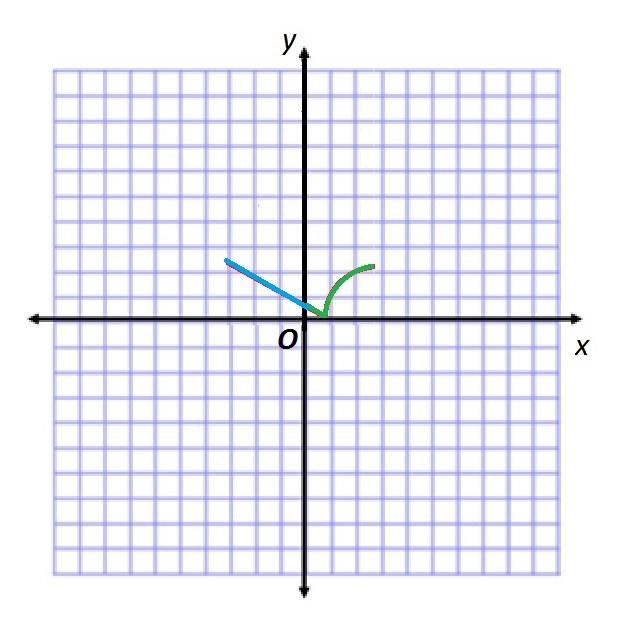 Notice that we can draw a horizontal line through this portion of the graph that passes through it twice - would work. This half of the graph alone proves that does not exist. Statement 1: The eighth and ninth terms are 65 and 72, respectively. we can substitute and find . have the characteristic that - but differs between them. Statement 1: The range of is the set . Statement 2: The domain of is the set . A function has an inverse if and only if, if , then , or, equivalently, if , then . Assume Statement 2 alone. If is the entire domain, then cannot exist for any value of not in that set. Also, it can be seen that for each such that , . Therefore, has an inverse. Assume Statement 1 alone. We show that the question of whether has an inverse cannot be answered by taking two cases. Case 1: is the entire domain. If this is true, then the range is , and the situation described in Statement 2 exists; consequently, has an inverse. Case 2: is the domain, and . The range is still the set . However, , so there exists in the range such that , but . This means that does not have an inverse. If Statement 1 alone is assumed, then this condition is known to not be true, since . Therefore, does not have an inverse. If Statement 2 alone is assumed, since no two values and are known such that and , it is possible for to have an inverse. However, there may or may not be other values in the domain of , any of which may be paired with range elements in the set . Therefore, Statement 2 does not resolve the issue of whether has an inverse. Statement 1: is an even function. Statement 2: is an odd function. Without further information, this expression cannot be evaluated. Let and be functions, the doimains of both of which are the set of all real numbers. Is the function odd, even, or neither? Statement 1: is neither odd nor even. Statement 2: is neither odd nor even. Assume both statements are true. A function is odd if, for all in its domain, , and even if, for all in its domain, . We show that knowing that neither nor is odd or even is insufficient to answer the question of whether is odd, even, or neither by examining two scenarios. Since there exists at least one value for which neither nor , is neither odd nor even. By a similar argument, can be shown to be neither odd nor even. Again, is neither even nor odd, and can be similarly demonstrated to be neither as well. Since there is at least one value in the domain of such that , is neither odd nor even. Statement 1: is an odd function. , so we need to find the values of both and in order to answer this question. However, we have no way of knowing the value of , so the expression cannot be evaluated. By a similar argument, if Statement 2 alone is assumed, , but, since is unknown, the expression cannot be evaluated. Given a function , evaluate . , so to answer the question, it is necssary and sufficient to evaluate . Neither statement alone gives us this value.